Country View Challenges: Currently unsupervised ! 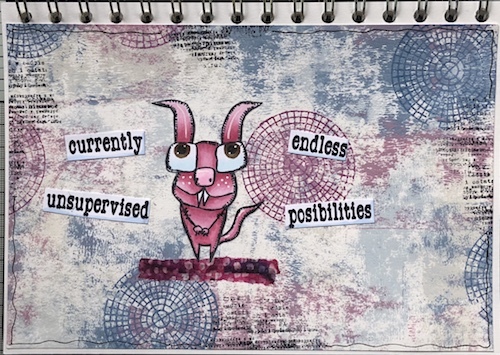 For my second project for Monika's 'be humorous' theme this month I have made an art journal page and I hope it will make you chuckle ! I have used mostly PaperArtsy materials for this apart from the sentiment. I have filmed the process of making this and I hope you'll pop over and have a look. It would be even more fantastic if you could subscribe to my channel ! Thank you ! Great journal page Corrie - off to have a better look!